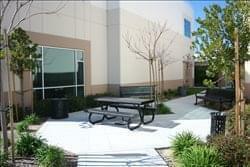 Find My Workspace lists over 95% of the executive office suites market in Santa Clarita. Simply click Request Quote to check pricing for one office, or Add to Basket for multiple offices. Brand new open offices with glass walls and doors. These offices are equipped with phone lines, T1 Internet, meeting room, receptionist, copy machine access, breakout room, complimentary coffee, tea, cappuccino and are available on flexible terms. Mail, fax and package handling also available. This center is a new, modern office building with only six small (private) offices. This environment offers more privacy when compared to a traditional large office building with dozens of offices in the same space. Offering a more laid back but professional work environment and a modern, high image look your Business needs to reach new heights. As a tenant you will receive luxurious reception area to greet your clients, use of spacious conference rooms. Ample free parking is available for each tenant and their Clients. This center offers flexible terms to meet your individual business needs with no hidden costs. This highly professional, premium quality and exceptionally equipped new office building location is fully furnished and supplied with some of the most extensive facilities and provisions at any similar business venue in the area, complete with medical offices and corporate event services in upscale Valencia CA. Available for rent are three rooms located in a Chiropractic/medical office. The interior workspace areas are all very spacious and flexible, with prospective tenants consistently offered the flexibility to design and arrange their office layout to purpose and necessity. A range of on-site support and assistance services are available around the clock; with IT, security and administrative teams present.